Marketing strategies can’t follow a cookie cutter approach. They need to diversify to be applicable. Each region has its own blend of traditions, designs, and customs which reflect their unique culture. The same rule applies when designing an exhibition display booth if you want to have any malleable impact on your audience. That’s why most exhibitors planning to participate in European exhibitions always prefer to select local exhibition booth builders who are attuned with the European aesthetic and can build exhibition booths that stand out from the crowd. Expo Display Service is a name you can rely on. We are familiar with Europe and have established ourselves as reputable booth builders. Our services are prompt and our delivery is quick, which we are able to provide since we have offices and warehouses in Germany, Austria, Switzerland, Belgium, France, Netherlands, and Spain. This allows us to provide you with additional services such as installation, dismantling, and logistics at competitive price packages. 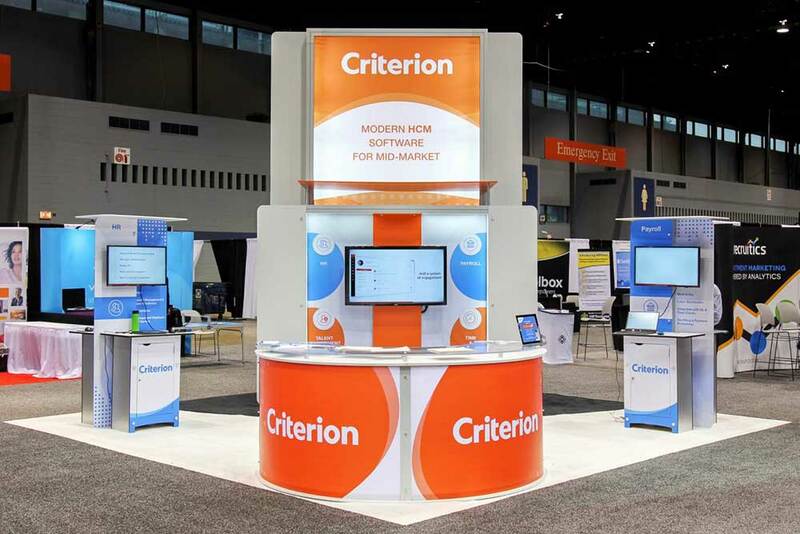 Our prices are transparent and you can access our 900+ booth exhibition designs on our website, with the help of our expo stand configurator. It can be a tedious affair to pick out reliable exhibition stand builders from a sea of other builders. If you do manage to select a few, the next process is figuring out if they’re reliable. 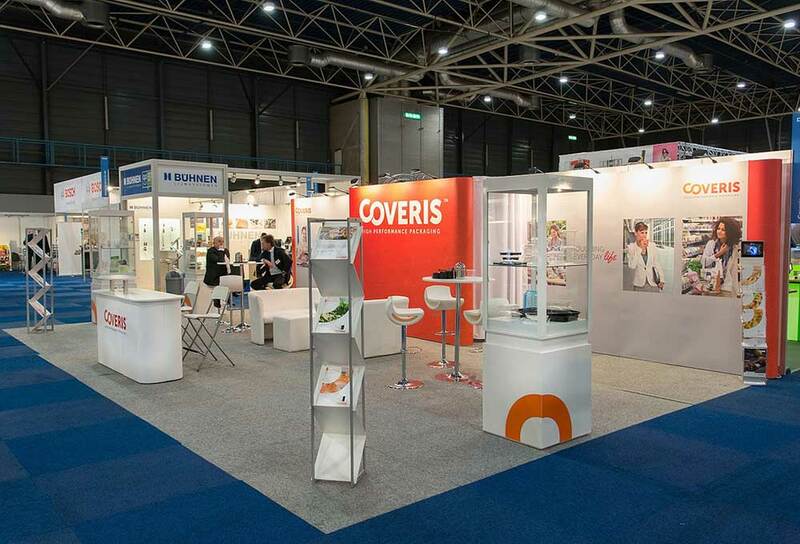 If you are exhibiting for the first time in Europe, it pays to go with an exhibition stand manufacturer that has a tenured presence in Europe. Choose a company that has a solid portfolio of established clientele. 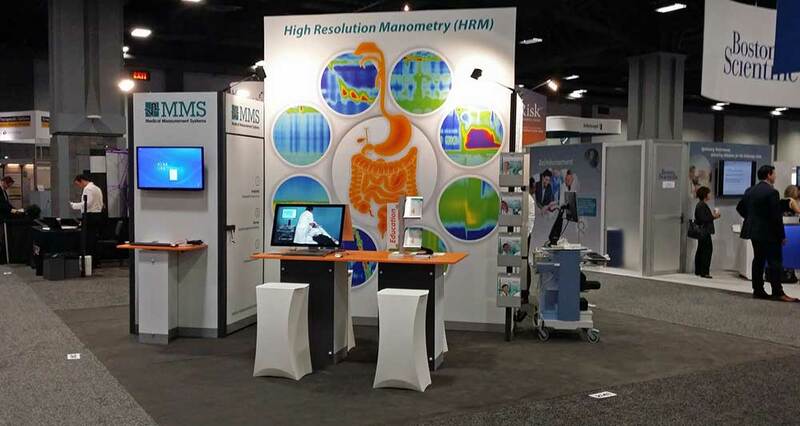 Expo Display Service has a large portfolio of turnkey booths that have satisfied several clients. With three years of experience our goal is to facilitate a trouble-free experience with our turnkey solutions. Be it designing the ideal exhibition booth display, to fabricating it in our internal production plant, we also print crisp exhibition graphics for your booth. In short, we take care of everything. 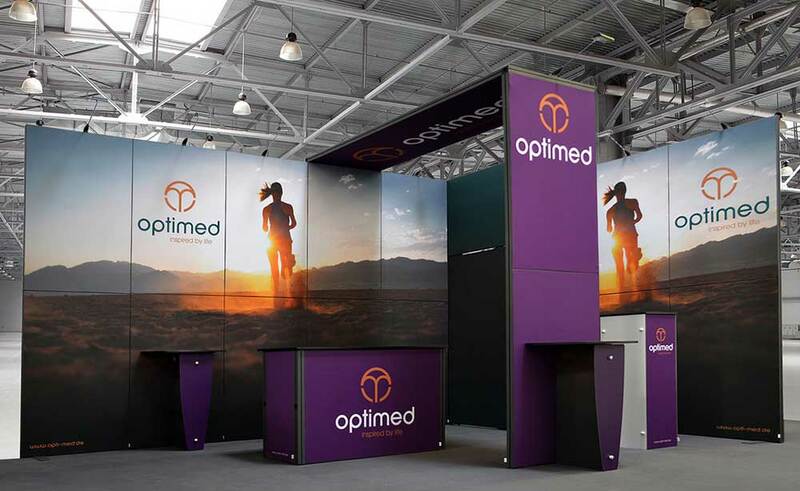 So if you plan to dazzle your attendees with a bespoke booth in the exhibition shows then choose Expo Display Service as your next choice.